When you are exhibiting at a trade show or any other corporate event, you don’t want to go unnoticed; rather you want to be the attraction at the event. For that, we have tons of custom printed tablecloth options so that you can choose exactly the style, fit, colors and materials that fit your exhibit and your budget. Our non-printed and custom printed trade-show table cloths complete your preparation for any exhibit event. Available in a variety of fabrics, such as 100% polyester poplin and stretch spandex. Many of these custom printed tablecloth options are also 100% flame retardant to meet with even the most strident event regulations. Talk to us now! We're here to help. Chat with below or call us at 512-430-1223! Make a positive impact at any exhibit or event with our sleek and professional-looking trade show table cloths. 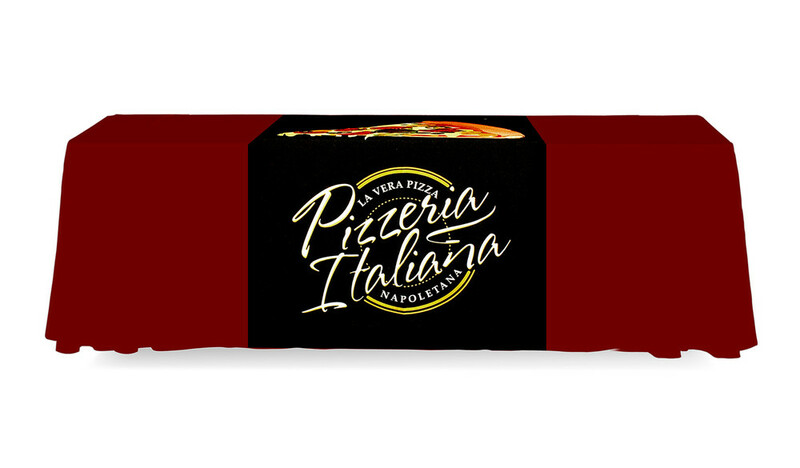 Release a professional aura at your table or booth with our smooth and great-fitting tablecloths. Promote your brand and generate more interaction by drawing in more possible clients to your table. 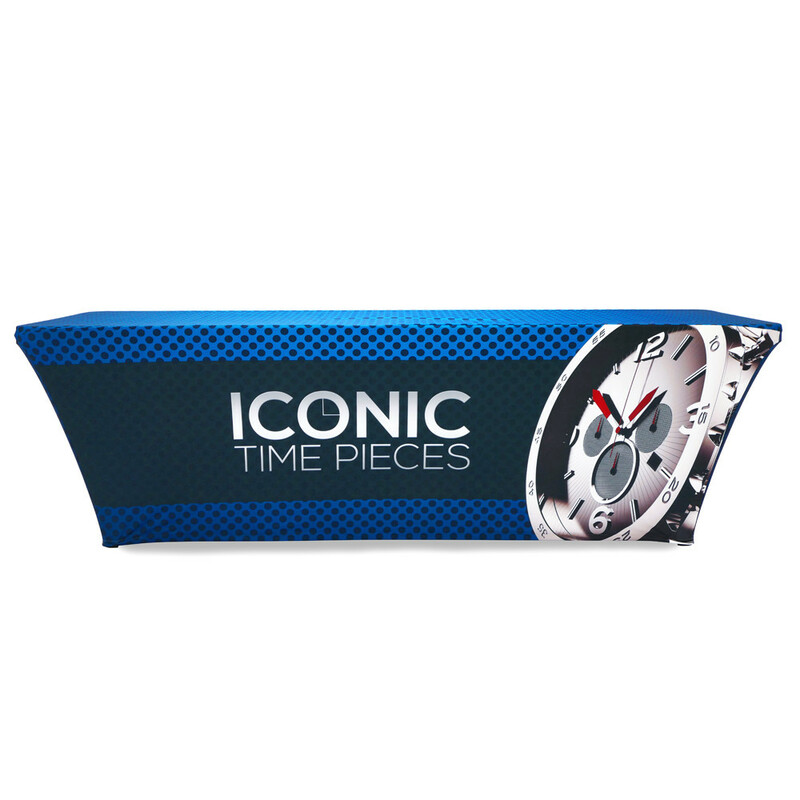 Your neatly printed name and logo will greet visitors who stop to check out your giveaway merchandise, company flyers, business cards and samples displayed on your customized table cover. Displaying bright, attractive, custom printed table cloths from Creation Station Printing is a great way to spread the word about your business without applying much effort. 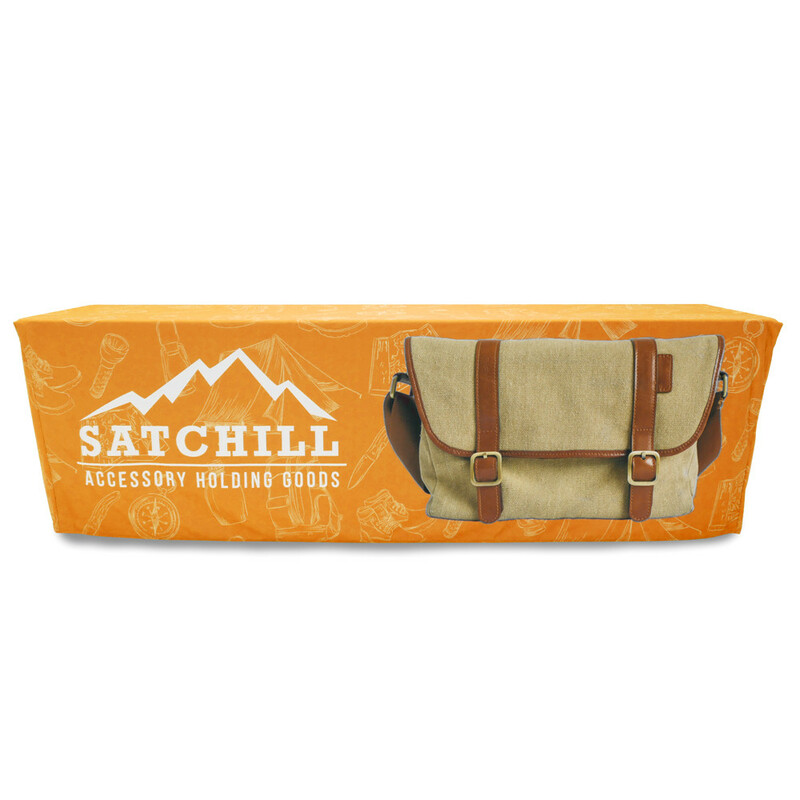 Explore a variety of travel friendly and sleek table cloths at Creation Station Printing. 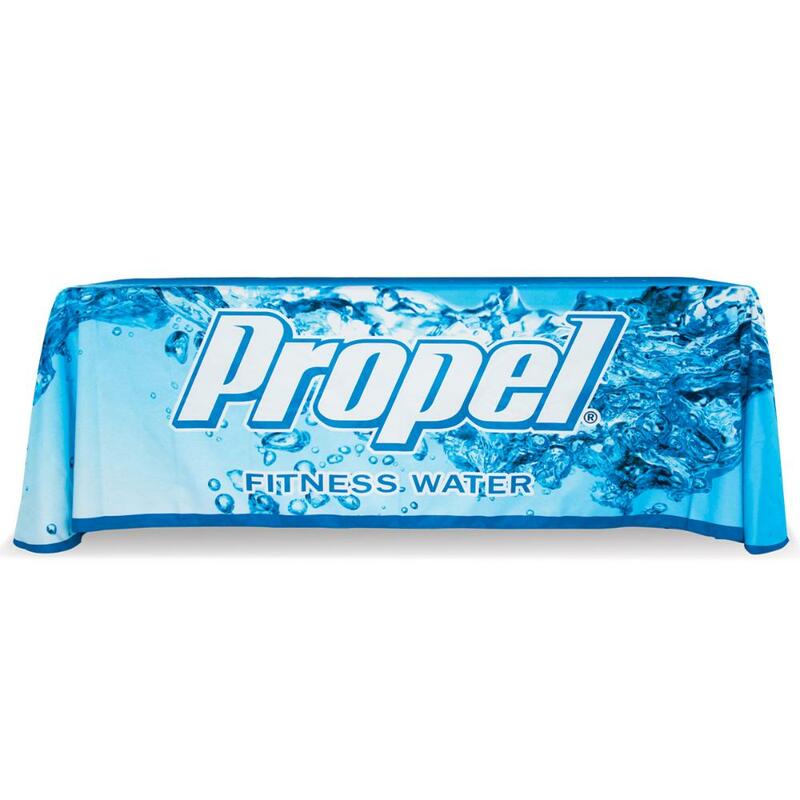 Printed Runners go above the table cloth and highlight your brand name, logo and more. Order Custom Printed Table Runners at Creation Station Printing or explore our wide range of Table Runners to find Table Runners fitting for your size, brand and occasion. 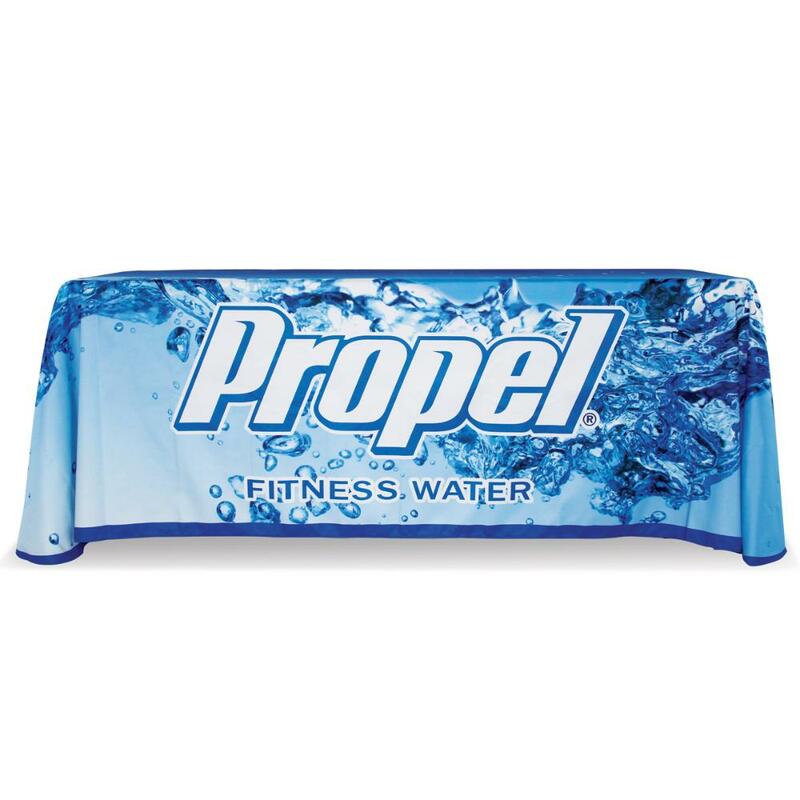 Showcase your brand and name logo with our eye-catching printed table runners. With our wide range of designs, fits, colors and materials, you can find table runners fitting for any occasion and brand.